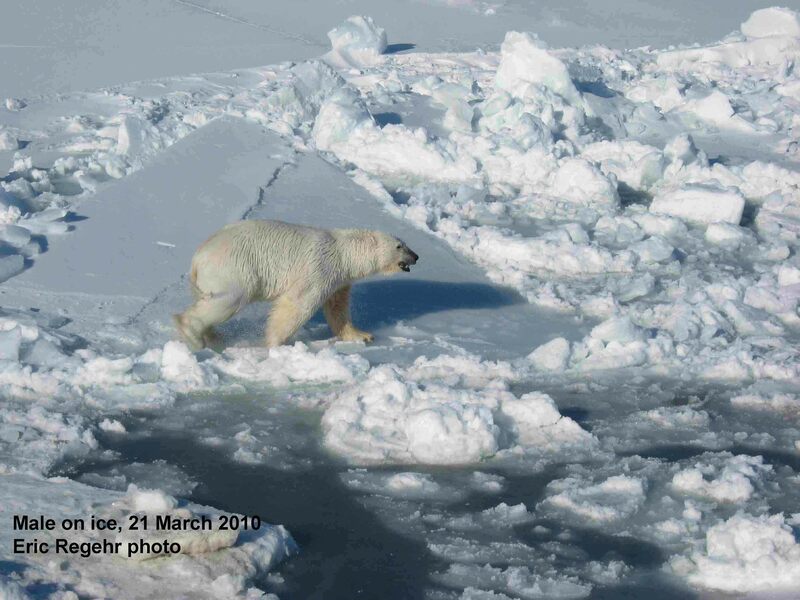 It’s just past the height of fall in the Arctic (Oct-Dec) and polar bear habitat is expanding day by day: according to NSIDC Masie ice charts, the ice has now surpassed 11 mkm2 in extent. 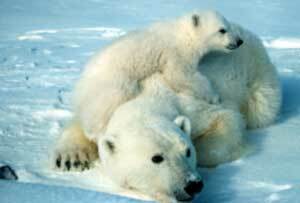 Fall is the second most important feeding period for polar bears after spring. 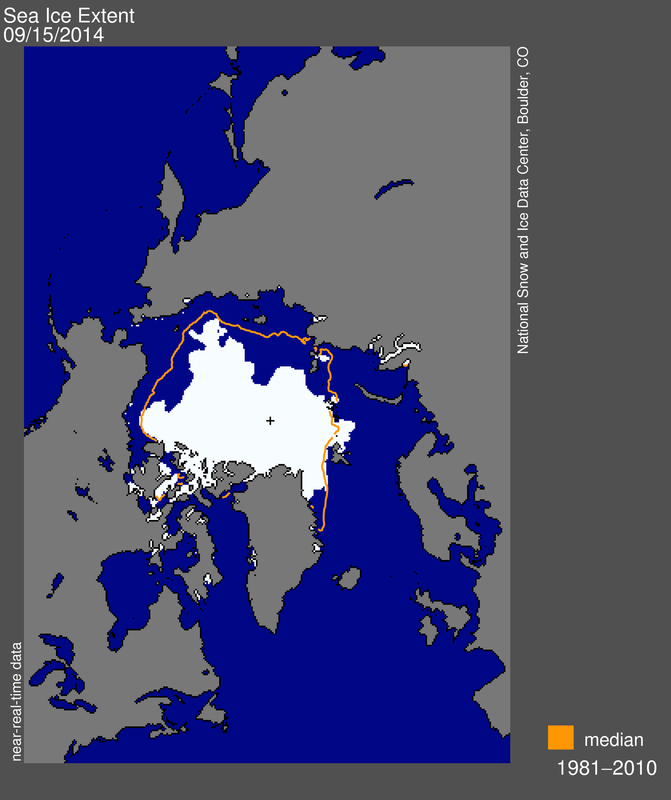 Only the Barents and Kara Seas (north of Norway and western Russia) are short of ice right now, similar to conditions seen in the fall of 2013. Last fall (2014), conditions were much better and as a consequence, researchers saw a lot of females with healthy cubs in the spring of 2015. Good news from Norway: polar bears around Svalbard are in excellent condition this spring and many females with new cubs have been spotted. This is a marked turn around from conditions just last year. According to a Norwegian news outlet yesterday, Jon Aars (Fig. 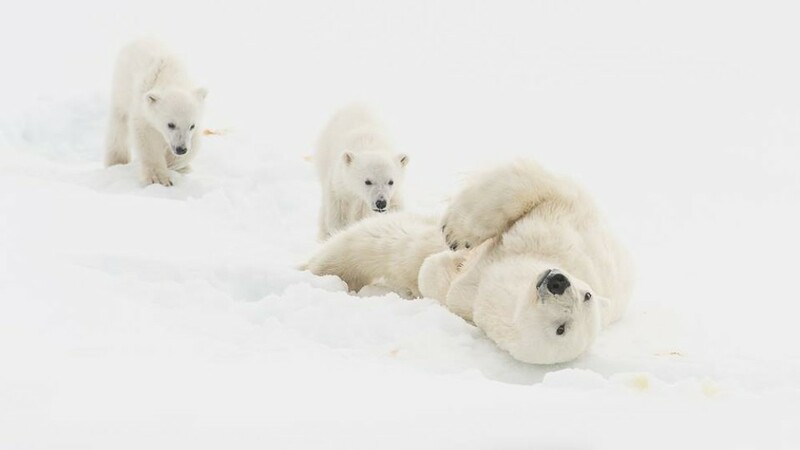 1, below), from the Norwegian Polar Institute, confirms that this has been an excellent year for polar bear cubs around Svalbard because there has been abundant sea ice near denning areas on the east coast. Figure 1. 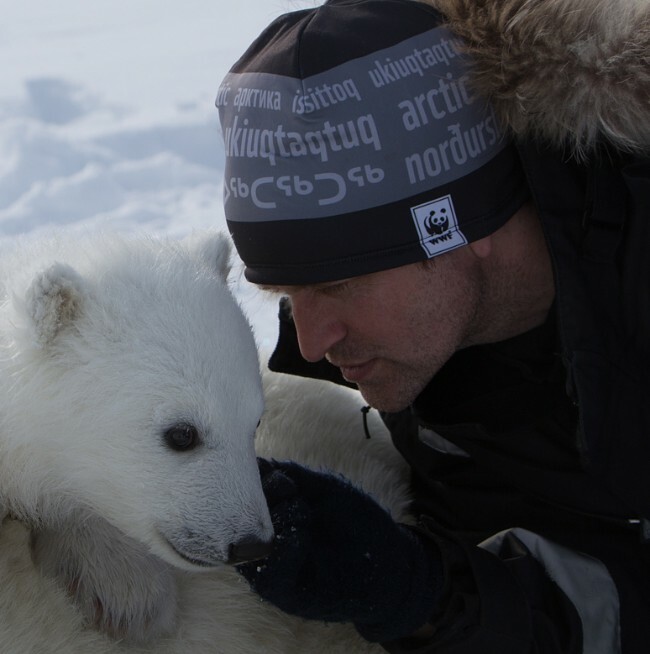 Biologist Jon Aars with a Svalbard cub. Polar bear habitat for the last week of March is well above average in eastern Canada for the second year in a row. 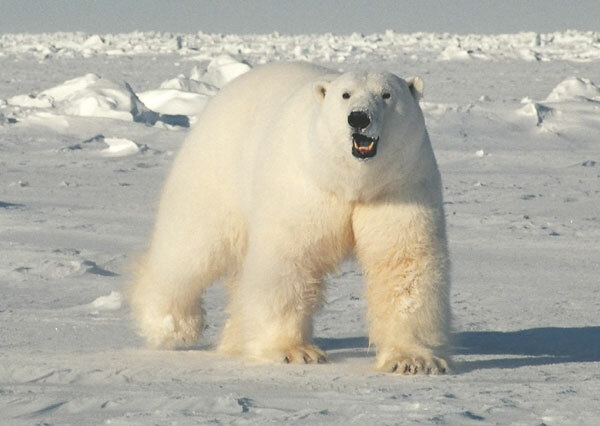 The very low extent of ice in the Sea of Okhotsk – which has contributed strongly to the low maximum extent this year – is irrelevant to our discussion, since no polar bears live there. There is a bit more concentrated ice around Svalbard than last year (or in 2012), although ice in the Barents Sea in general is still below average due to the state of the Atlantic Multidecadal Oscillation (AMO). 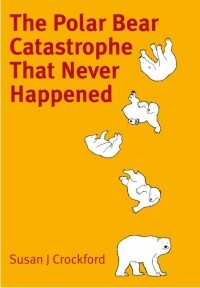 The state of the AMO and its effects on Barents Sea polar bear sea ice habitat has nothing to do with global warming: it’s a cycle that has been documented for centuries (Miles et al. 2014). 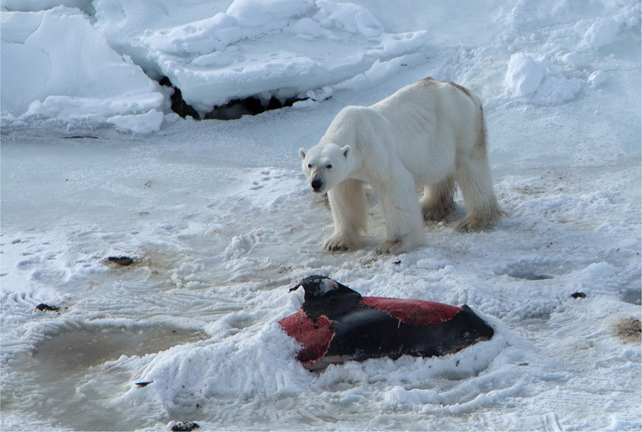 Still, there is plenty enough sea ice for polar bear hunting: this is the beginning of the critical feeding time for all polar bears (see here and here), but especially for the survival of new cubs-of-the-year, so I have a few words about Western Hudson Bay cubs below. Update: Added 20 March 2015, comparison maps from Cryosphere Today for 2006 vs. 2015. 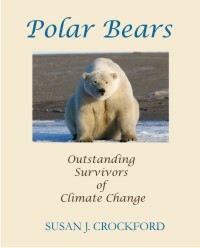 With Barents Sea ice way above average this summer, Polar Bear Specialist Group biologist Ian Stirling now claims the old polar bear that he said died of climate change last year on Svalbard was “in his prime” and still blames the bear’s death on lack of sea ice — despite all evidence to the contrary. 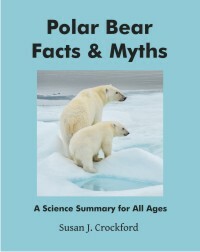 Last week, Damian Carrington (May 28, 2014) at The Guardian offered a scary-sounding polar bear story, based on the work of Jon Aars and colleagues from the Norwegian Polar Institute (“Fewer polar bear cubs are being born in the Arctic islands, survey finds”). As often is the case however, once you see the scientific data, you will sleep better.